It is probably fair to say that Naby Keita was the summer signing who Liverpool fans were most excited about. The Guinea international midfielder was coming off two incredible seasons in the Bundesliga with RB Leipzig, and looked to be the perfect addition to a midfield which needed a player like him. His performances in pre-season only served to ramp up the excitement, with Keita looking immediately at home in a squad which was expected to push for the title – just as they are doing. While the season may be going to plan for the club as a whole, the same cannot be said for Keita, who put in another poor performance in a 1-1 draw on Wednesday against Leicester. The midfielder looks totally drained of confidence at the moment, and looks lost at times on the pitch – a far cry from the player who tore it up at Leipzig. Every time he is named to the starting XI the hope increases again among fans, but Keita is yet to meet that hope with a performance to match. Unfortunately, at this point in the season, Liverpool cannot afford to be carrying anyone with their title aspirations on the line. Jurgen Klopp will know that better than anyone, and unfortunately for Keita that is likely to mean very few further starts between now and the end of the season. Players like Fabinho, James Milner, Gini Wijnaldum and Jordan Henderson are all performing better than him on a regular basis, and that kind of depth means Klopp’s options ahead of Keita are endless. 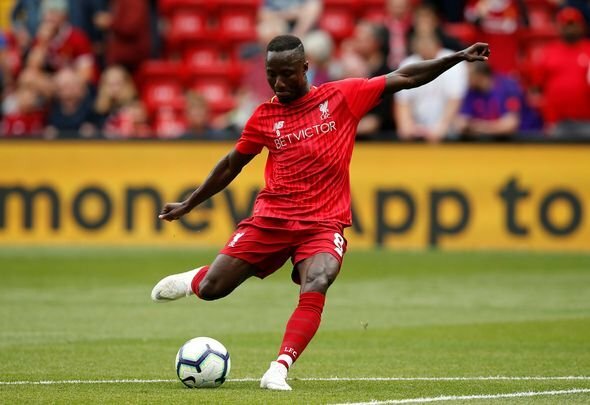 Klopp must now accept that Keita is not yet ready to make a real impact in the Premier League, and set to work making sure that can happen next season instead. Bedding someone in over the course of this season is too risky, and he must realise that before Keita begins to cost the Reds in their run for the title.